Workers use an elevator to enter and exit the city-block sized pit. In some areas the hole is 120 feet below ground level. 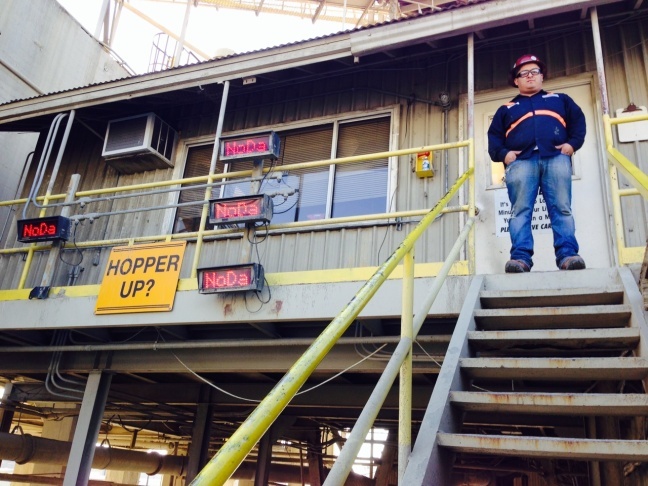 Sergio Serano stands in front of the batch plant where he measures out the ingredients for concrete and uses a machine to load those elements into mixer trucks. 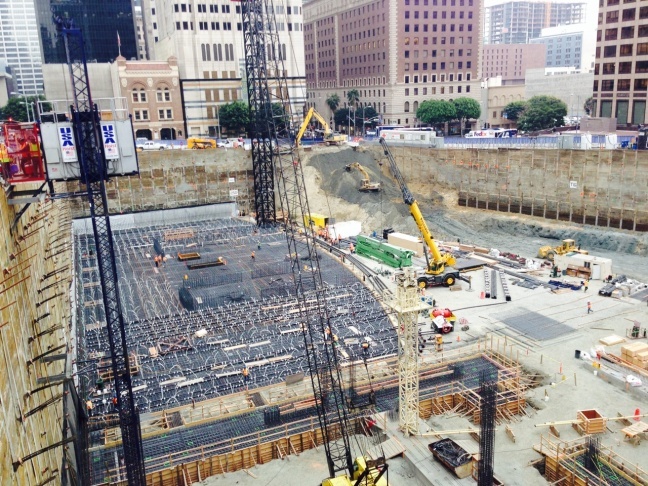 This pit will be the future site of the Wilshire Grand tower. The area covered with rebar is where the concrete pour will take place Saturday Feb. 15th. 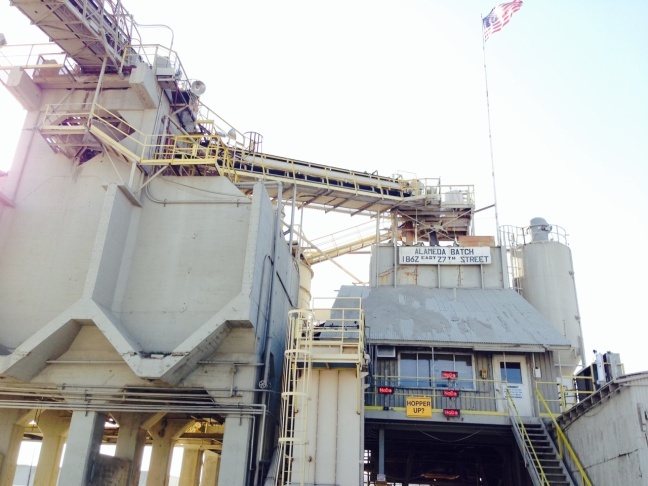 This CalPortland concrete plant will be one of 8 plants supplying the pour with materials. 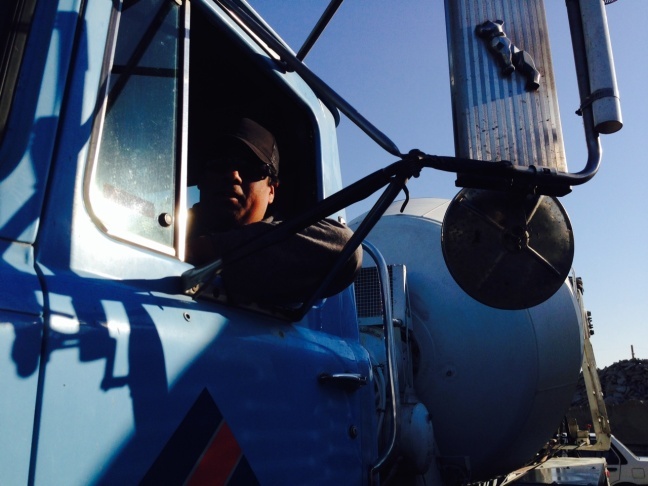 Salvador Blanco drives a cement truck for CalPortland and plans to work a 15 hour day for the concrete pour this weekend. 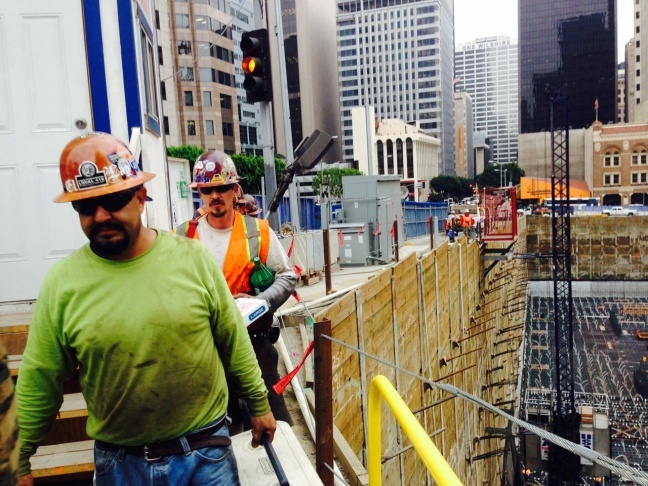 This Saturday construction crews at the site of the future Wilshire Grand tower will pour concrete for 20 hours straight. They'll be laying the foundation for a planned 73 story luxury hotel, office and retail space in downtown LA . When completed in 2016 the structure will be the tallest west of the Mississippi. If this weekend's pour is successful, the building will also set a world record for the largest continuous foundation pour ever.